In order to learn Swedish fast and easy, you need to master the language and truly have a passion for learning something that you aren’t necessarily apt to know. Swedish is one of the most popular languages out there because it is spoken in several different countries. It comes in handy to know Swedish because you can use it when traveling abroad or when you are speaking with someone who can only speak Swedish. These 10 best ways to learn Swedish fast will help you to master the language and truly make it a staple in your life. There are several reasons why you might want to learn Swedish fast and easy. For one, you might be traveling abroad and would like to learn more about the language so that you are able to communicate more easily. You might also be working for a company that requires you to know Swedish due to its customer or clientele base. You may also be wanting to know how to learn Swedish fast because you have a friend or relative who only speaks in Swedish who you would like to communicate with regularly. Some people simply want to learn the language because it will look good on resumes and school applications. To learn Swedish quickly, you need to know the benefits and reasons of considering this particular language. Not only is Swedish spoken in several countries around the world, but it is one of easier options for those who might struggle with learning a different language. Many programs out there will help you to learn how to learn Swedish quickly without it being a problem and without it taking a long period of time. You will find that this helps in terms of getting you to learn the language and feel confident in the fact that you are doing something beneficial for yourself and your future. These 10 best ways to learn Swedish fast will have you easily learning the language and adding it to your list of available skills and traits. By implementing all of these tips together, you should be able to know how to learn Swedish fast. One way for you to know how to learn Swedish quickly is by listening to Swedish-only music. By listening to music, you will find that you start to get the hang of how different words are pronounced as well as how they rhyme. This makes it easier and quicker for you to learn the language, since the beats can become quite catchy and are easy to sing along to. There are a multitude of Swedish books out there that can be read if this is something you would like to do. The books help you to learn and read the language while being able to connect with a specific story. Because there are a lot of different books out there, it is easier and quicker than ever for you to find literature that you like in a language that is going to be fun to learn. Another great way for you to learn Swedish quickly is for you to actually talk to people who are fluent in the language. This means finding people, either locally or online, who speak great Swedish and trying to hold a conversation with them. They may also be able to give you some pointers as to how to pronounce certain words or how to spell different words. Online groups and forums specific to learning Swedish are readily available and can even be free to join. These groups are ideal for people who want to learn Swedish effortlessly and do not want to spend a lot of time or money trying to become fluent themselves. There are hundreds of available Swedish podcasts as well as radio channels that you can listen to. The more that you listen to someone speaking in Swedish, the more likely it is going to be that you will actually begin to understand the words and will be able to speak on your own. With the thousands of Swedish-based websites out there, it’s effortless to find these sites and read through the content and pages so that you are only reading and looking at Swedish words. You will find that you are forced to try to figure out what the words mean and this will help your overall understanding of the language. There is no better way for you to truly learn the Swedish language than by traveling to Sweden where it is spoken everywhere. You will be able to communicate with people who only speak Swedish or are able to help you learn the language while you are there. Believe it or not, there are a lot of Swedish movies available for you to watch. Listening to people talk in Swedish will help you to begin understanding the language in a way that gets you interested in learning it yourself quickly and easily. 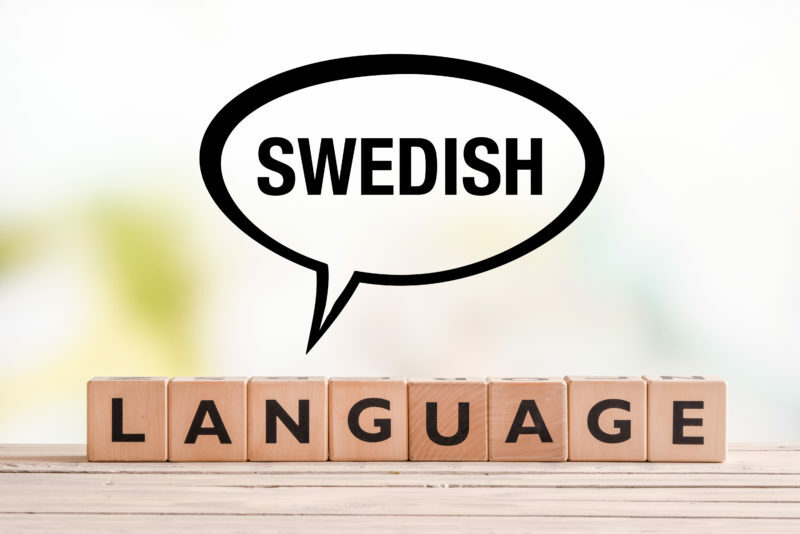 There are dozens of high-quality language programs out there, making it easier than ever for you to find a program that is right for you and truly being able to learn Swedish at your own pace. These programs help to teach you the language quickly and without having to spend a lot of money. The key to learning Swedish and truly becoming fluent in the language is for you to practice speaking regularly. You can either do this by speaking on your own or trying to hold a conversation with someone else who speaks Swedish. There are many reasons to learn the Swedish language, but you need to practice regularly to become fluent. You can do this by visiting Sweden or speaking with people who already talk in Swedish and are able to hold a conversation with you. By working on learning a brand new language like Swedish, you are increasing your life skills and are adding a trait to your resume and job applications that will help to get you far in life the more that you become fluent in it.